For my puppy Dexter’s First birthday party I wanted to make something festive for the dogs to wear. This is a tutorial on how to make party hats with mini pom poms and these party hats can be used on humans as well. 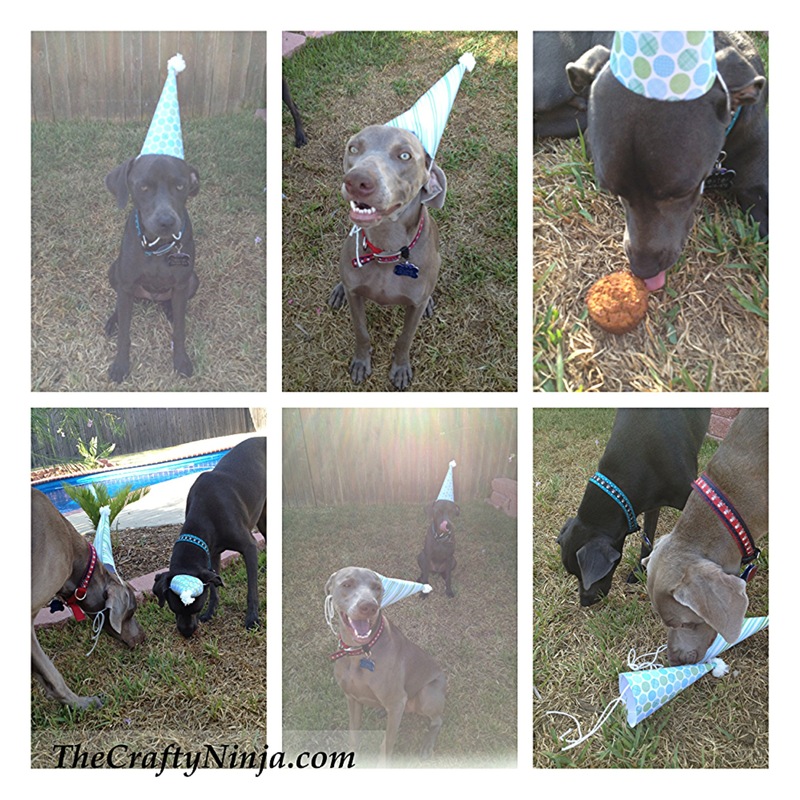 Here are some pictures from the party, I also made doggie cupcakes recipe here. 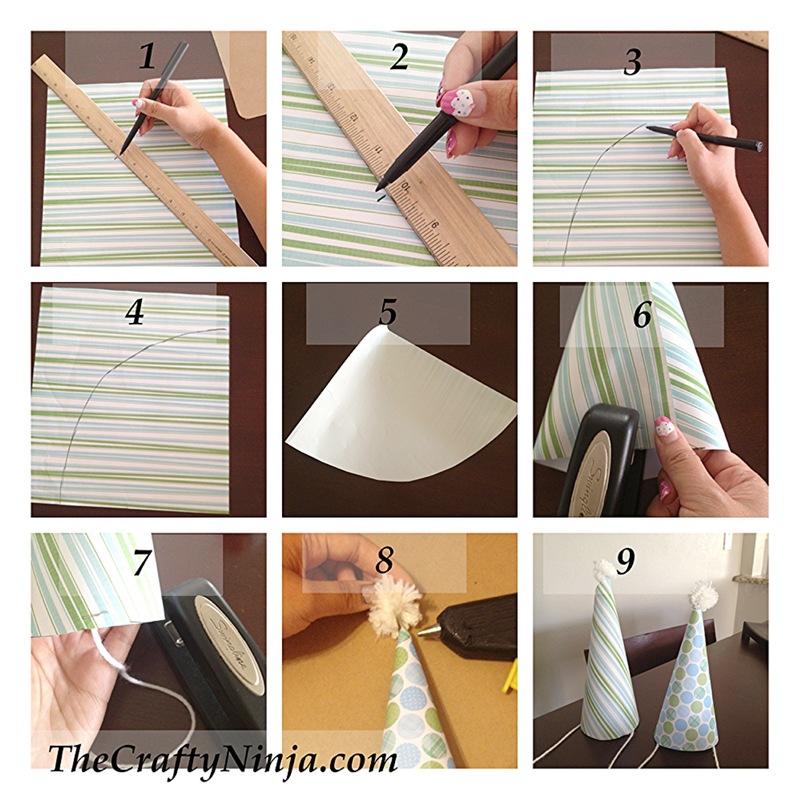 To make a party hat you will need 12 x 12 scrapbook paper, Ruler, Pencil or marker, Stapler, Yarn, and Hot glue gun. 1. Put the ruler diagonally from corner to corner on the scrapbook paper. 2. At 10 inches make a mark, this will be the midpoint. 3. From the mark draw curved lines out. 4. How the line will look once finished. 5. Cut out the curved line. 6. Form a cone with the paper and staple. 7. Cut 2 yarn about 12 inches long and staple to the sides. Glue the mini pom pom, tutorial below. 8. Make one or more for the party guests. 1. 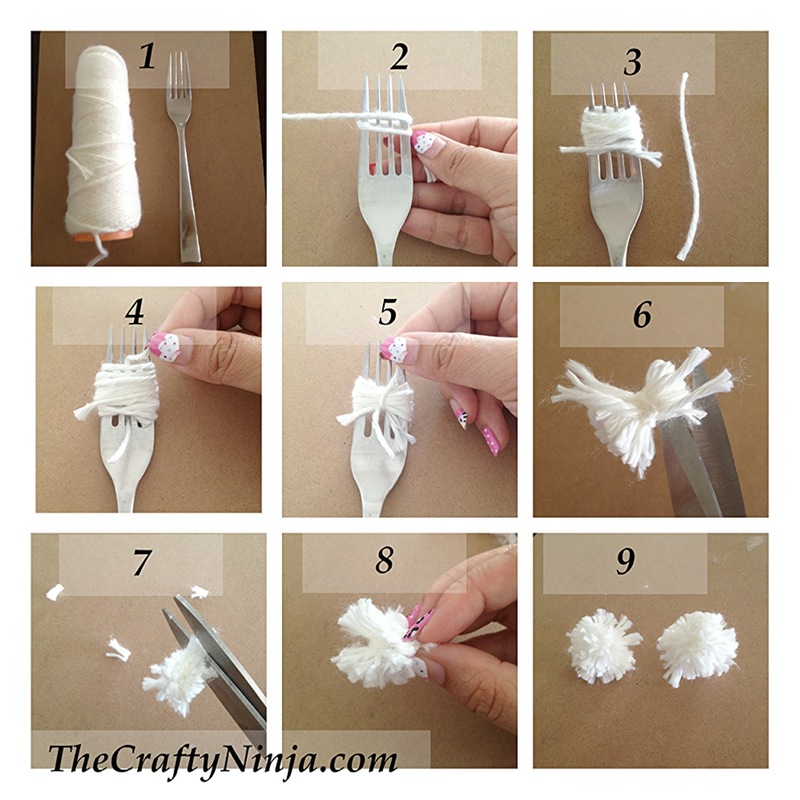 To make a mini pom pom you will need some yarn, scissors, and a fork. 2. Began by warping the yarn around the fork. 3. Wrap several times to thicken and cut 2 inches of yarn. 4. With the two inches of yarn thread it through the fork. 5. Double knot the 2 inch yarn around the middle of the wrapped yarn. 6. Take off the fork and cut the sides to fray. 7. Cut off any uneven yarn. 8. Fluff up the pom pom to form its shape. 8. Finished you will have mini pom poms. You can use these as bows on a gift, flower pom poms, party hats, the ideas are endless.